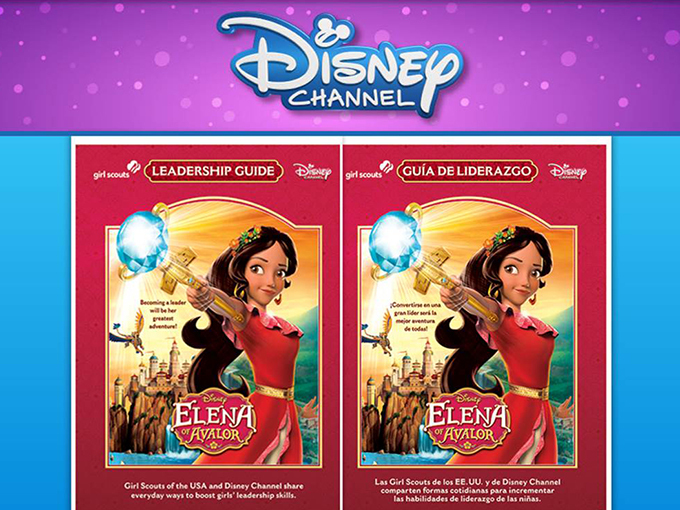 Girl Scouts of the USA and Disney Channel have partnered to launch a leadership program featuring The Elena of Avalor Leadership Guide. 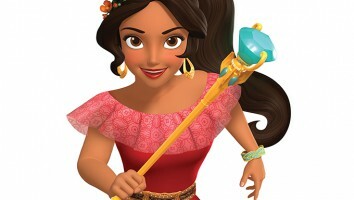 Girl Scouts of the USA has joined forces with Disney Channel and its newly launched Latina princess property Elena of Avalor to introduce The Elena of Avalor Leadership Guide. Available today in English and Spanish for girls ages two to 10, the guide features activities and information that parents and caregivers can use with their kids to strengthen their daily leadership skills and learn about the Girl Scouts G.I.R.L. 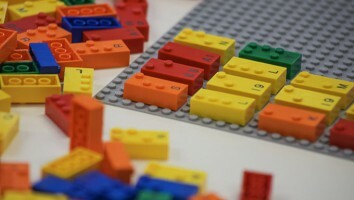 (Go-getter, Innovator, Risk-taker, Leader) strategy. The initiative also features the inaugural Elena of Avalor—Scepter of Light Award, which will be given to a pair of Girl Scout Gold Award recipients. The winners will take part in special events including Elena’s Royal Debut at Walt Disney World in Orlando this month and a Chicago-based Girl Scouts event in the fall. 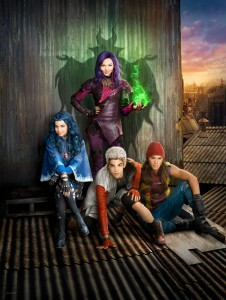 In addition, Disney Channel and Disney Junior will broadcast leadership-themed pro-social interstitials later this year featuring Girl Scouts alongside Princess Elena, and launch a user-generated contest on International Day of the Girl (October 11) to give winners special on-air opportunities. 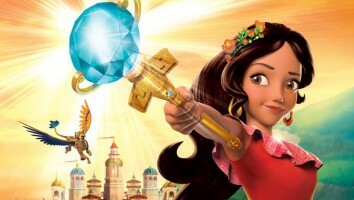 The new animated Elena of Avalor series currently airs at 7:30 p.m. ET on Disney Channel. The IP’s toy program is also now rolling out worldwide.